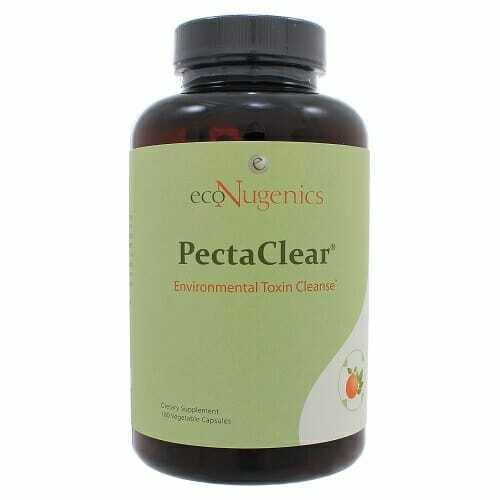 EcoNugenics PectaClear features PectaSol-C Modified Citrus Pectin and Algimate Modified Alginate Complex – two natural ingredients which may be uniquely capable of binding and eliminating certain toxins from the digestive tract. Designed to support the liver in its innate detoxification processes. Purchasing this product today earns you 103 DR Reward Points! Every serving is packed with 1.5 grams of modified citrus pectin. Also features a modified alginate complex for further toxin binding support. Limiting toxic overload may aid in liver health. Designed specifically for the removal of lead, mercury, arsenic and other toxic heavy metals. 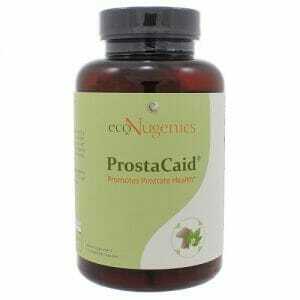 Works synergistically with EcoNugenics ProstaCaid. 180 vegetable capsules per container. It’s no big mystery how toxins enter the human body: they’re in the air we breath, the water we drink, and even many of the foods we eat. It’s also no mystery why human toxicity levels are on the rise: everyday more and more pollutants are pumped into the air, the ocean, and other facets of our natural environment. This is primarily a result of fossil fuels being burned off in factories and engines, as well as other byproducts of industry. These toxins inevitably make their way from the environment into our bodies. This is a major problem because toxic overload can cause serious havoc for human health and well-being, particularly for those who do not consume adequate amounts of antioxidants in their diets. Apart from antioxidants, there are a handful of viable options for nutritionally countering toxic overload. The body is equipped with many natural detoxification processes. Most of these are based in the liver. However, the liver is often unprepared to deal with the accelerating quantity of toxins in our environment. Thankfully, there are a number of supplemental ingredients which can be used to aid the liver and other natural detoxification agents in our bodies. 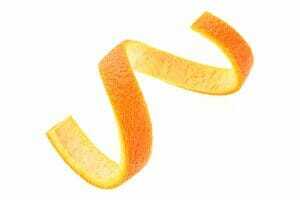 Citrus pectin is a polysaccharide extracted from the cell walls of orange peels and pulp. Dietary fiber is most commonly used as a digestive aid. So much so that most people are completely unaware of its astounding potential for detoxification support. Certain types of fiber, particularly pectin which comes from fruit peels, are uniquely capable of binding and absorbing toxic substance as they pass through the digestive tract. These toxins are then safely excreted and permanently removed from the body before they can cause damage and imbalance at a cellular level. Citrus pectin is generally considered to be the most effective form of dietary fiber for toxin removal.1 In addition, studies have shown that citrus pectin in combination with alginates (a binding polysaccharide which is found in cell walls of brown algae) may exhibit a synergistic relationship for chelation and detoxification.2 That’s why EcoNugenics PectaClear contains both PectaSol-C Modified Citrus Pectin and Algimate Modified Alginate Complex. As a dietary supplement, for intensive detoxification, take 3 capsules twice daily on an empty stomach. For long term maintenance, take 1 capsule twice daily on an empty stomach, or take as recommended by your health care practitioner. The effect of modified citrus pectin on urinary excretion of toxic elements.